The best mobile games offer a zen-like sense of satisfaction, not a negative bank account balance and a feeling of spiritual bankruptcy. 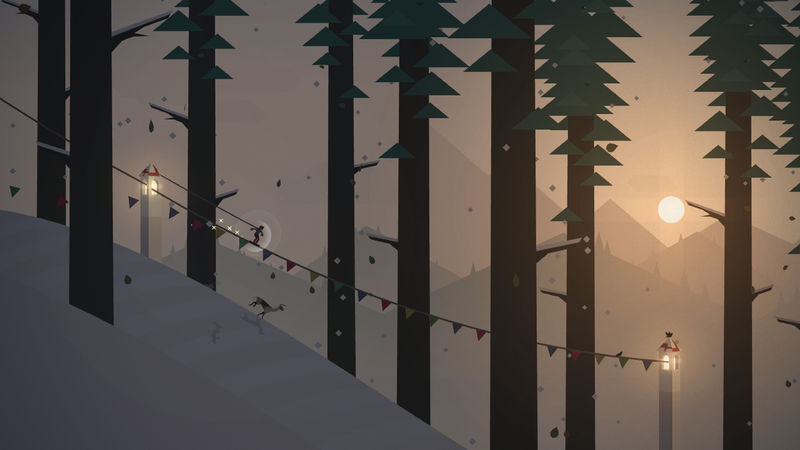 Alto’s Adventure, a new game from Toronto’s Snowman studios, definitely satisfies the soul, thanks to a stunning flat graphic aesthetic with subtle parallax effects, a gorgeous soundtrack and gameplay that’s easy to learn, challenging to master and ideally suited to long-term replayability. Alto’s Adventure is also a one-time purchase of just $2, with no in-app purchases in sight, despite the fact that there’s an in-game currency mechanic used to unlock upgrades, which for many other developers would present too tempting a cash cow to pass up. Snowman co-founder Ryan Cash (not a pun, just his actual name) explains that he and co-founder Jordan Rosenberg discussed using IAP and making the game free, but ultimately had to remain true to themselves. 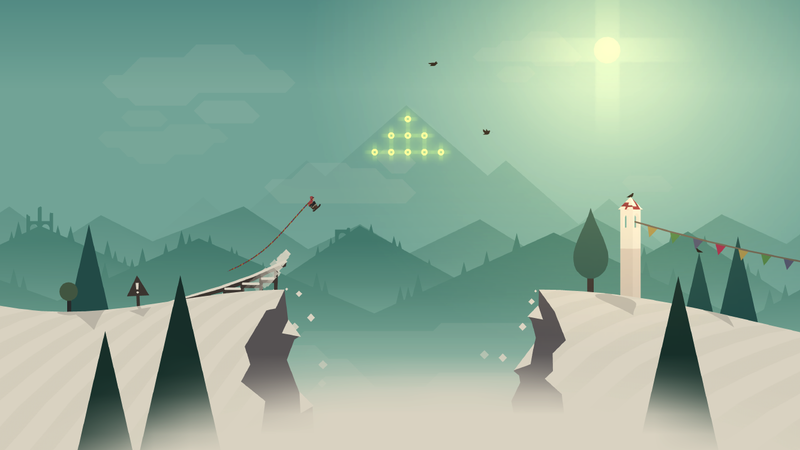 They managed that with Alto’s Adventure, despite the fact that it’s a twist on the ‘endless runner’ genre of games in which a player could theoretically go on forever thanks to a continually generated, shifting background, obstacle and interactive feature matrix. Players take on the role of Alto, a snowboarding llama shepherd who must carve to rescue his flock, all the while pulling off simple tricks to rack up points, and avoiding obstacles like rocks and chasms along the way. The game’s straightforward gameplay belies the rather circuitous path that led to its creation. Cash and Rosenberg had grown up together and enjoyed countless hours playing games like Tony Hawk’s Pro Skater and Amped in their salad days, but gaming fell by the wayside when the two entered the working world. And while Cash ended up helping make apps for Macs, and later iPhone and iPad at Marketcircle, the focus was on business and productivity software, not play. Even when Snowman first got started, it was not a game that prompted the two to leave their respective jobs and join forces. Cash and Rosenberg had discussed making an app in the past, but were inspired by the many steps required in setting up location-based reminders in Apple’s then-new Reminders app to try to make something better. They founded Snowman in April of 2012 and built Checkmark, app designed to create location-based reminders in just three taps. They’d begun work on a utility app to follow their first creation when the app’s designer pointed out that it bore more than a passing resemblance to the 80s children’s game Simon, so they shifted strategy and built a mobile version of that for iOS instead. After receiving praise, including selection as a Starbucks Pick of the Week, they turned their focus towards building “something bigger – something we were truly passionate about,” says Cash. The duo shared a love of snowboarding, and were unsatisfied with the existing attempts to capture the sport on mobile. They were also inspired by Tiny Wings, which Rosenberg had downloaded and become obsessed with, eventually passing his mania on to Cash as well. The final component for Alto’s Adventure came from Cash’s recollection of Harry Nesbitt’s work, based on what he’d seen from the avatars Nesbitt created for the Realmac team for use on their website. That art style combined with Cash and Rosenberg’s desire for an accurate interpretation of a real snowboarding experience, and the example set by Tiny Wings, combined in the Alto’s Adventure project, which began in January of 2013 and culminated with the title’s release this past week. Alto’s Adventure represents the latest in a spate of recent releases that suggest there’s a healthy and growing appetite for premium mobile gaming experiences that don’t also require a perpetual IAP commitment on the part of players to enjoy. Cash says he’s not quite sure what’s coming next from the company, and though they’ve received lots of requests to bring Alto’s Adventure to other platforms, he’s not making any promises about specific future launches quite yet. For now, you’ll have to either own or borrow an iPad or iPhone to enjoy, but for those of you who do have access to one, let me tell you: Alto’s Adventure is well worth your time, attention and money.